For whatever ontological reason, people love to humanize the mechanical - and science fiction has - for decades - made a habit of flirting with the places that that tendency can lead us. From Stanley Kubrick’s 2001 to Duncan Jones’ Moon and Spike Jonze’s Her. There are countless examples to be cited, with Sydney-based developer Robot Houses’ debut title fitting in among them with minimal fuss. 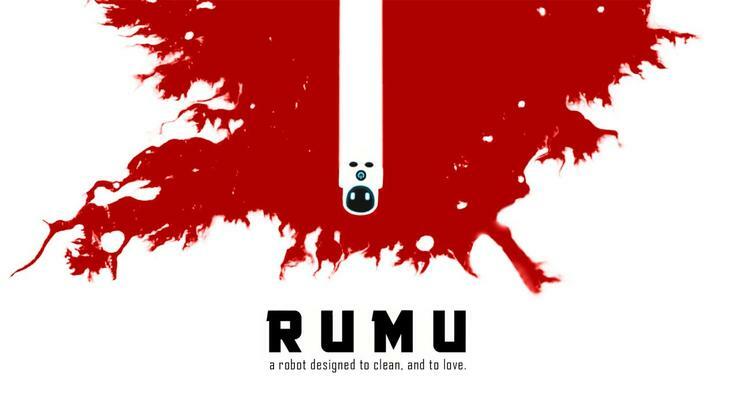 Set in a not-too-distant but very “smart” future, players take control of the game’s titular vacuum bot: Rumu. Imagine a Roomba vacuum cleaner with the personality of Wall-E and you’ve more-or-less hit the mark. Waking up to find his owners - David and Cecily - mysteriously absent, Rumu quickly becomes a rebel without a cord. 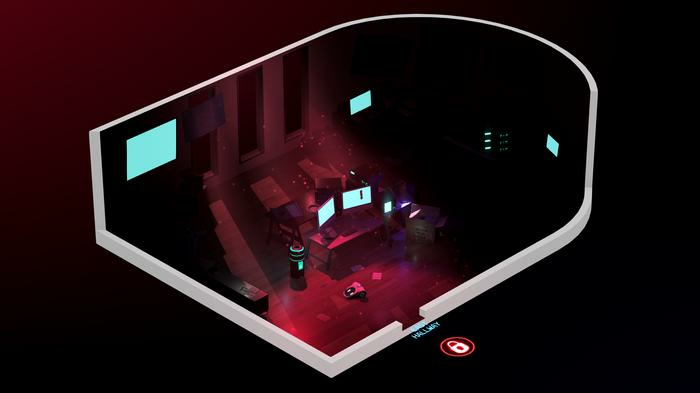 Each of the game’s levels (framed as “Days”) sees you seek out and clean up messes at the behest of the houses’ all-knowing AI Sabrina, slowing eking out further details about the broader plot in the process. Generally, the mechanics here are pretty light. Getting Rumu to go where you want isn’t always super-efficient or responsive but it does feel faithful to the way that these kinds of vacuum bots move in a way that can be appreciated. There’s some light puzzle solving here - but it all very intuitive and it rarely felt like any of the solutions required to much of stretch in terms of their logic. Still, the way that the game ties its puzzles to the larger narrative can sometimes be quite clever. Learning that David set the password for the pantry to the word “MICROCHIPS” doesn’t just let you move onto the next part of the level, it adds shades to both his character and his relationship with Cecily. For that reason, these puzzles don’t feed like obstacles as they do opportunities to learn more about the world that Rumu inhabits. What’s more, this isn’t the only such opportunity the game offers you to become more involved. You’re also infrequently presented with the ability to mold Rumu’s personality through dialogue choices. During conversations with Sabrina, you’ll be able to react or respond to some of what she says. There is, however, a catch. These dialogue choices are often very limited, encouraging you to communicate with Sabrina by relying on the subtext of the options presented. Even if this setup might sound mundane despite the clever premise, the presentation helps shore up the experience nicely. 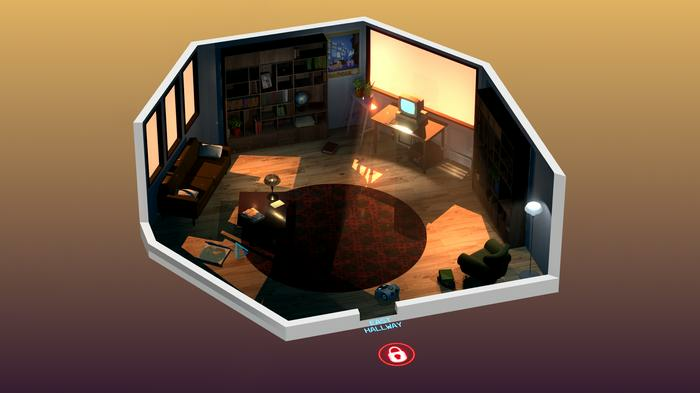 The game’s angular and isometric art style brings a powerful playability and believability to environments. It also gels well with the twilit melodies of Rumu’s soundtrack, composed by Matt Mclean (also responsible for scoring the similarly-sounding Orwell). Blending together on both an aesthetic and sonic level, it feels like these two key pillars of the experience were made to naturally enhance one another. There’s a similar dynamic at work when it comes to the voice-acting and dialogue in Rumu. The game’s three major characters - Sabrina (Allegra Clark), Cecily (Larissa Gallagher) and David (Grant George) - come accompanied by the vivid-but-unvoiced personalities of the houses’ family of smart appliances. Some of these are funnier than others - but all are possessed of a particular kind of cleverness and charisma that made me wish I could spend more time with each of them. With the booming popularity of the Google Home and the imminent arrival of Amazon Alexa, smart speakers are having a bit of “a moment” in Australia right now. As such, it’s easy to imagine this context bleeding into Rumu and costing it some degree of freshness. Thankfully this isn’t really the case. Rumu isn’t particularly long. A short playthrough takes about two hours. A more-exhaustive one takes closer to three. However, the overarching quality - and the unique qualities - of the experience involved make Rumu easy to recommend regardless. It’s not going to be for everyone. But it’s remarkably well-made for a debut effort and, should you give it the time of day, a yarn well worth unfurling. Rumu is available now on Steam for USD $19.99.